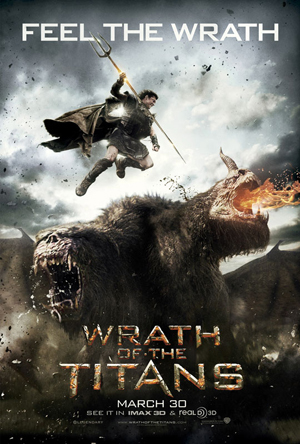 Wrath of the Titans is the sequel of the 2010 movie Clash of the Titans, that will be coming out in March 30, 2012. Directed by Jonathan Leibesman and starring Liam Neeson (Zeus), Sam Worthington (Perseus), Ralph Fiennes (Hades). The story takes place a decade after Perseus defeated the Kraken. Now he lives a simple life as a fisherman and a father to a ten year old son named Helius. There is a struggle of supremacy that rages between the Olympian gods and the Titans, caused by the lack devotions from humanity. Zeus gets captured by his son Ares and his brother Hades. Now Perseus has a new quest to go into the underworld and rescue Zeus. Comments for Sneak Peak of the movie Wrath of the Titans are now closed.